You are driving along the freeway and then you see it: An AMBER Alert warning has just been issued and your heart sinks for the parents that are missing their child. You quickly read the sign for all of the details (car’s make, model, color, and license plate) and scan the cars around you to see if any of them match the description. Most of the time they won’t, but even if one time they do, you could very well help save a life. So what exactly is an AMBER Alert? 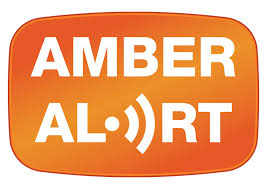 In technical terms, AMBER stands for: America’s Missing: Broadcast Emergency Response (no, Amber is not the name of a girl that was missing, contrary to popular belief). But to you, it probably just means a child is missing and you need to do whatever you can to help find him/her. You search around you and share the information with your friends so that, hopefully, the child can be recovered before any damage is done. How long have AMBER Alerts been around? It may seem like they are fairly new, but AMBER alerts have been around for a while now. However, they didn’t really become common use until President Bush assigned an AMBER Alert coordinator in 2002. The U.S. Department of Justice reports that this move was crucial to the success of the program. In 2001 only two children had been saved using an AMBER Alert, and in 2006, 69 children were recovered. Do they issue an AMBER Alert for all missing children? They can’t be used too often, otherwise they will turn into a “boy that cried wolf” scenario. For this reason, the law enforcement teams across the country have strict guidelines to qualify an abduction for an AMBER Alert warning. These guidelines vary by state, but in general, the child has to be at serious risk of injury or death, there has to be enough information about the child and captor (and the car) to actually issue the alert, and the child must be 17 years old or younger. The great news is that, yes, they really do. Since the start of AMBER Alerts, 656 children have been saved (90% since October 2002, thanks President Bush!). When the community and police officers work together, they form an unstoppable force. It is believed that many captors will release a child as soon as they realize an AMBER Alert has been issued because they are so successful at finding the victims.